Taiwan textile supplier Far Eastern New Century has developed an ‘all-in-one’ chemical recycling solution for mixed polyester textiles. ‘During the chemical process, polyester is dissolved and the mixed polymers or dyestuffs are filtered out,’ says Far Eastern New Century (FENC) of its innovative solution. The isolated cellulose is then converted into energy-dense fuel rods that can be used to generate electricity. The new recycling method, which can also handle spandex-blended polyester fabrics, was presented at the TITAS exhibition in Taipei. 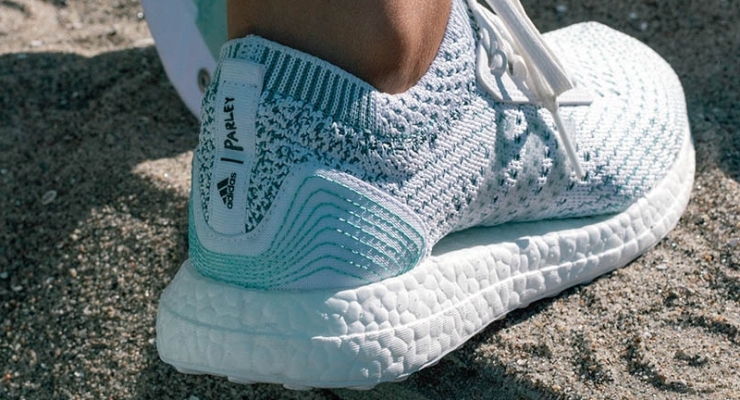 Hu adds that FENC started collaborating with Adidas to commercialise sneakers made with recycled ocean plastics back in 2015. The ongoing partnership is meant to call attention to “fast fashion” and has successfully reprocessed more than 1000 tonnes of marine waste last year. The volume is expected to grow to 1600 tonnes this year. FENC was established in Shanghai in 1949. Starting out in the textiles industry, the company acquired several other businesses, such as Oriental Petrochemical (Taiwan) Corporation, to become one of the top five polyester and PET producers in the world.